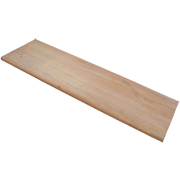 At Stair-Treads.com, we stock the finest and largest selection of premium grade unfinished and prefinished Brazilian Cherry stair treads. 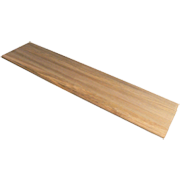 If you're building a new set of stairs to match your Brazilian Cherry flooring, use traditional 1" thick stair treads. 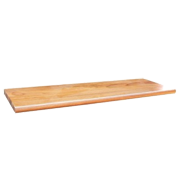 Our 1" thick standard Brazilian Cherry treads can, quite often, drop right into place if you remove the old, builder-grade pine tread under your carpet now. If you are interested in "capping" or "overlaying" your existing carpet-grade steps with a new Brazilian Cherry step, use our Brazilian Cherry Retro-Fit treads. All our stair treads and risers are shipped directly to your home from the manufacturer to keep the costs as absolutely low as possible. By the piece or by the pallet, there's no better value for a new set of stair treads. Nearly twice as hard as Red Oak, Brazilian Cherry resists denting from larger dogs and high heels very well. Brazilian Cherry is a very popular flooring choice and, most commonly, it's best to match your stairs with your flooring to visually tie your upstairs level and downstairs level together. Once installed, Brazilian Cherry makes an absolutely stunning and one-of-a-kind staircase that will be enjoyed for many years to come. 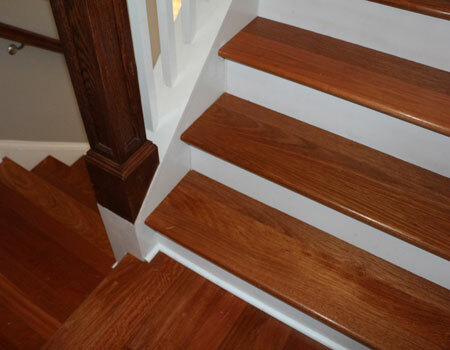 Whether you choose, unfinished or prefinished, retro or traditional, there's no easier way to have a new set of Brazilian Cherry stairs than solid stair treads from Stair-Treads.com! Unfinished stair treads are pre-sanded and ready for you to apply your own stain and polyurethane. Prefinished stair treads are like prefinished flooring - there's no sanding or polyurethane required; just cut the treads to fit and install! What's the difference between left return, right return, and double return? Need help finding something else or a different wood type? Contact us for custom materials or quotes on hard-to-find items. 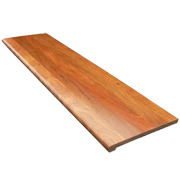 Need Other Brazilian Cherry Stair Parts?